What a weekend of contrasting fortunes! England pull off the shock result against the World Champions and Wales gift Australia a last gasp win to take a horrible none from four statistic. Contrasting fortunes indeed. I’m just glad that the northern hemisphere has got a little bit of a plus out of the pre-Christmas internationals. It was a disastrous run and everybody expected New Zealand, Australia and South Africa to run off with the honours so it was fantastic for a lot of reasons. 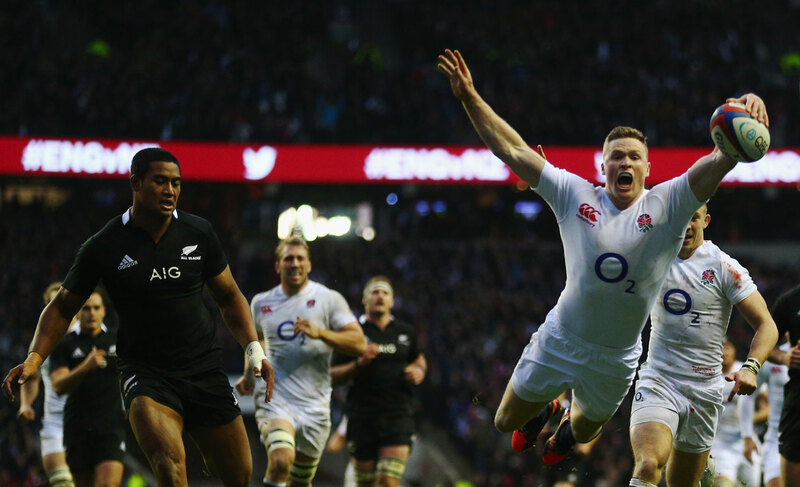 I think the England New Zealand game was a fantastic spectacle of running rugby. It had everything, it had the big hits, the forward stuff and tries in abundance. It was a fantastic game. I was particularly impressed with the England front five. They have really stamped their authority and it was a bit of a warning shot across the bows of the Southern Hemisphere to say “we’ve got a front five and they can compete” which will stand England in good stead for the next World Cup. I think I was most impressed in the manner of the way we beat the New Zealanders. You have to have a bit of a footnote to say that the All Blacks did look a bit tired, jaded, they had problems with health this week and they just looked out of sorts. A New Zealand side giving away ten penalties in the first half is unheard of and a New Zealand side missing tackles in the midfield is also unheard of. As I said, our front five and back row really did make life very difficult for New Zealand. They put them on the back foot. They made this classy New Zealand side look very average. And if we’re talking about the Lions next year, if you had to pick a Lions team now, you’d probably go for the front five of England. Against South Africa they showed great improvement and against New Zealand even more. The recent Australia game where they were out-scrummaged and outplayed seems to be a distant memory. The last two games against top opposition they have shown what they can do. There are still lots of games to go before the Lions get picked but it’s really encouraging. It’s interesting because I think England played really well when nobody saw this coming. I think a lot of people thought this England pack would make life awkward for New Zealand, and people didn’t think it would be a thirty, forty, fifty pointer for New Zealand like they do against most opposition, but I don’t think you could have anticipated the way we dismantled their pack and the way New Zealand fell apart towards the end of the game. In the last ten minutes they looked a very average international side against a top international side which is great to see. Wales were so close. 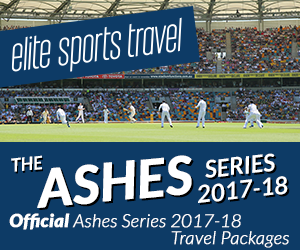 Although they’ll be disappointed their losing run continues, it does show they can compete with an Australian side that are still very hard to beat. They will have seen an improvement in their performance, but still a hugely disappointing campaign for them. I think Wales will be really worried about their Six Nations campaign. They will recognise they are on a losing streak at the moment, and it’s not just these last four games, it’s the last seven games. They will be worried about their form, but they will also be worried about their injuries too. A lot of the welsh players were getting injured a little too easily for me. Is that because they are playing too much rugby, or is it because they are not conditioned well enough or are they over conditioned? I think there are a lot of little question marks around the welsh team at the moment. And of course they’ve not really got their talisman in Warren Gatland around. It was interesting that he comes back for the later two games and all of sudden they’ve put in some better performances and could’ve got draws and maybe won those tight games. So their Six Nations without Gatland will be a big worry for them. From a Lions point of view, I must admit I’m a bit concerned that Warren won’t be doing any more coaching between now and the Lions tour. It’s like anything else, people get rusty. He’ll be doing a lot of miles watching the Six Nations, Heineken cup and club games, he’ll be doing a lot of ground work etc, and 90% of all coaching is to do with the preparation off the pitch but he’ll not be doing much actual coaching itself. I think he will have taken a lot of positives out of this pre-Christmas series. He will have been very enthused by the way England’s forward have fronted up, particularly in this last game. He will be thinking that he might have the foundations for a pack that can take on anybody and particularly in the front five. I think he’ll be slightly worried about his ten options, he’ll be looking at the tens and midfield very closely. He’ll be thinking that the Welsh wingers haven’t done anything to be discredited with and I think he’ll be pleased to have a good choice of candidates at nine. I think the big thing for him will be that he will be angling towards England front five, I think in the back row he could pick anybody from any of the teams as they all performed pretty well, but Ireland have had a stand out group of back row players. He’ll be a bit concerned about midfield and perhaps he’ll be looking at Brian O’Driscoll to see whether he has got another Lions and season in him. I think he’ll be looking at the welsh wingers, the big boys, and I think he’ll be really analysing his options at 15, 10, 12 and 13. He’ll be hoping someone puts his hand up and picks themselves. As far as our oppo goes, I thought Australia looked an average side this autumn. I thought they were poor against France, improved against England and improved again against Wales. They’ve now got 10 months or so to get their act together. If I was their coach I’d be saying three quarter wise whoever I pick, and remember this Australia side were without five or six top class regulars, I think we would be there or thereabouts for the Lions, it’s just a question of whether they can win enough ball. If I was an Australia coach I would be looking at all options for the front five, I’d be looking at shortened line-outs, how we’re going to scrummage etc because certainly with their back row and three quarters, if they can win enough ball then this series is going to be very much up for grabs.